North Korea can menace nobody. They are lucky if their missiles make it off the launch platforms. Yet, Kim Jong-Un continues to threaten. We learn recently from South Korea’s ministry of defense that Pyongyang tried to launch four missiles from near Eastern Motoyama. After the failed test, Choe Myong Nam, deputy ambassador at the North Korean mission to the United Nations in Geneva warned of impending doom. He suggested the U.S. fear the kingdom’s development of inter-continental ballistic missiles (ICBM), capable of striking the U.S.Ironic that the North Koreans posture of impending doom after unsuccessful missile launches. They might rethink the timing of their threats if they want to be taken seriously. The Express reported that in response to North Korea’s failed test, President Trump decided to do a bit of sabre-rattling himself. Days after North Korea’s latest missile test failed, the US Office of Naval Research published a video which captured the explosive guns in action on YouTube. Cannons are filmed blasting away in countless directions as fiery smoke crosses the sky. The Naval Research Office described the railgun “as a true warfighter game changer”. Having worked on the predecessor to this “rail gun,” I know its lethality. 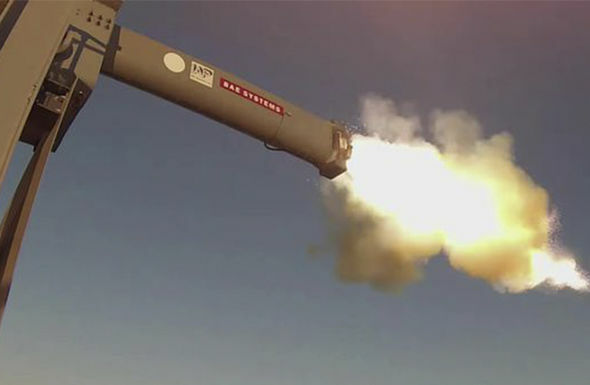 At the time of development, the company referred to the missile as a kinetic energy missile, KEM for short.The warhead was merely a smart version of a bullet that flew at outrageous speeds. Thus, the kinetic energy of the missile could melt metal, or just about anything the missile contacted at that speed. “[It] will give our adversaries a huge moment of pause to go: ‘Do I even want to go engage a naval ship? 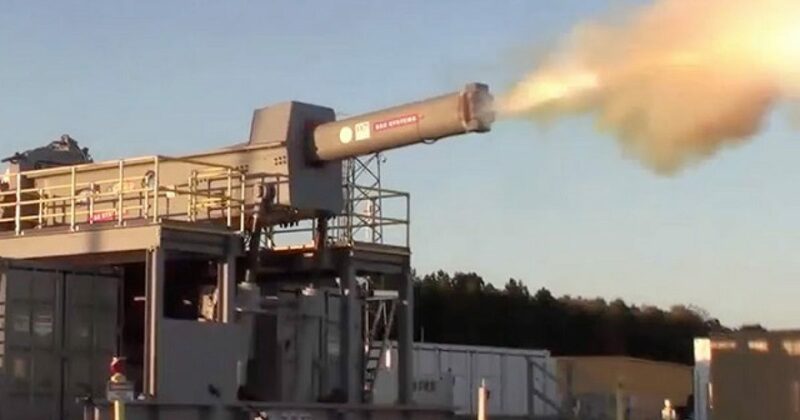 Robert Freeman, a spokesman for the Office of Naval Research told US News and World Report that the electromagnetic cannon could “tear through sheets of metal,” whilst transforming a ship’s ammunition needs. The weapons are capable of obliterating heavily armored targets up to 126 miles. I assure you that no dissipative protection will help a tank hit by one of these bullets. The later version on which I worked was called the hyper-velocity missile, or HVM. I had left my job at this point, so I can only speculate on enhancements. I know that I would not want to be anywhere near a tank or bunker when these missiles hone in.